"Children are our country's future." How many times have we heard that saying? There is a future Sachin Tendulkar hidden somewhere, a Bachchan and Rajinikanth just waiting to be found. Scientists of the future who will do us proud and authors who will weave prose that will stir our very soul. But sometimes you have to look beyond the dreams of endless bouquets. You have to earn that right to dream. And that takes some serious introspection, something we tend to avoid as much as possible. Beyond the dreams and castles in the sky, look at the numbers we have presently. 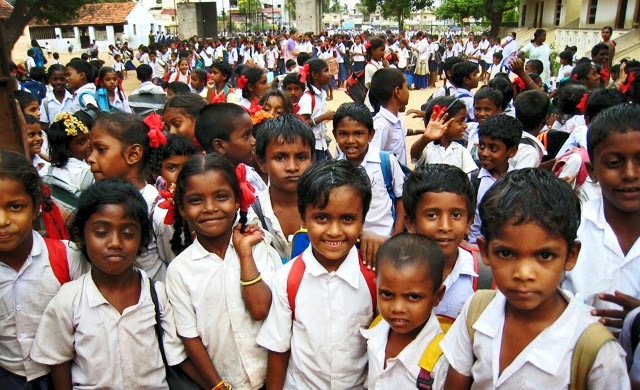 Over 450 million children walk the 'vast expanse' that is India. To put that number into a more meaningful perspective, that is MORE THAN the entire human population of the continent of North America. Sorry as it is to admit, from there on, the statistics for our children only get worse. 10% of the children born every year in India do not live up to the age of five years. 4 out of 5 Indian children under the age of 3 years are anemic. 1 in 2 have iodine deficiency. Less than 50% of India's child population attend school - naturally, even fewer complete high school. 3% of the population of Indian children suffer from some disability - physical or mental. 1 out of every two girls in India is malnourished. 1 in 12 girls born in India do not live to see their first birthday. Less than 50% receive their complete vaccination and are hence prone for debilitating illness in the future. Before we create our next Sachin Tendulkar and Sunita Williams, we need to give our children the chance to first survive and lead a healthy life. With their immune system still developing, the young ones are especially prone for severe infections. As the numbers above show you, the illnesses are winning that battle and we need to stop it now. We have the ability, we have the facilities and even big-hearted selfless souls to help us achieve that goal. What we lack is a proper game plan and initiative to empower the children of India. Whenever people discuss a topic like this, invariably a difference of opinion crops up - whose responsibility is it, what are the means, the numbers are just too big to manage et al. These are valid only up to a point. If you want that castle you are dreaming of, you need to work to make that dream come true. If you want the future of India to be bright, you need to care for the children - not just your own - of the nation and do your part for them. Identify: The numbers above are bad. Yet, living in our own middle class cocoons, we ignore the greater percentage of children in India who don't have a chance to survive because of a lack of facilities and health care options. We need to identify them at the grass root level and ensure they receive timely aid and follow-ups from health care services so that they can slowly and steadily build up their immunity and rise above the disturbing statistics. Help orphanages and NGOs in whatever small way you can - bringing just a smile on a child's face is worth the extra effort. Persevere: This is no short term goal. We aren't going to change the face of India in 12 or even 36 months. Improving the conditions for our children takes many years and setbacks... but we must not give up. Change the mindset: It hurts frankly when even after so many decades of Independence, we see such stigma as 'the girl child' and 'child labour'. We have laws for this and yet, nothing seems to have changed. We need to either enforce the laws more strictly or else be more dynamic in ensuring every child - irrespective of gender or social standing - receives an equal opportunity to health care and education. Make a better world: If you live in a metropolitan or even developing city today, you don't need me to tell you of the levels of pollution you suffer. Any elder from a generation prior will remind you of that. Even if you choose to ignore them, as a doctor I can assure you, the effects are starting to show. Lack of pollution control, over population and poor sanitation facilities have already started taking their toll on children. There is a significant rise in respiratory illnesses and even disabilities which are directly linked to these man made environmental factors. Medicines alone will not help. We need to be more disciplined and pro-active in maintaining cleanliness around us. Read up on how to keep your surroundings clean. Don't just give up if the city takes a casual attitude towards sanity - make a fuss, make the people aware and bring about the change. It isn't about our health anymore... it's about preventing further damage to our children's frail immunity. Take up a multi-disciplinary approach : As you will see, this is the key in the end. Improving the statistics is never going to be possible by a one-dimensional attitude. The sooner we realise that, the better off we are. India is a country of multiple medical sciences... let us take the best of each of them. While modern medicine has a definite role in ensuring treatment and care for a child during an acute illness, the immune system building prowess of ayurvedic preparations must not be ignored. Illnesses are not just about a random cold and cough, a lot depends on the child's immune status and the way it responds to infections and ailments. Preventing the illness is always better than looking for a cure. So have regular health check-ups which can aid in identifying deficiencies and allow you to star treating them at an early age. Tried and Tested: Products like Dabur Chyawanprash have passed the test of time for decades because they have done exactly what they promised - they have strengthened immunity and allowed our bodies to fight a multitude of illnesses and survive. They have now evolved with time and even come in a variety of flavours ( Mango and Mixed Fruit! Tempting, I must say! ) but more than the flavours, it's the assurance from millions of Indians - now grown up - who as children had Chyawanprash and today stand as living testament of the healthy Indian. In the end, we will need to first accept our shortcomings as more than just numbers and start working for a better healthier India for the generations to come. It isn't about doctors alone. Every one of us can make a difference and change the India we live in, making it a better place to live in for our children. 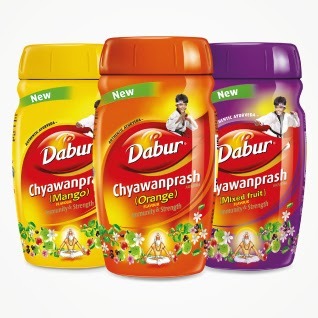 Author's note: This entry is part of Indiblogger's contest for AN IMMUNE INDIA with Dabur Chyawanprash. Amazing. Good Luck for contest. The stats are depressing, but you left it on such positive note. Good food for thought. Thanks Sugandha.. yes, the stats are actually quite bad if you think about it..
:-) Good luck on the contest. Whenever I open Appletini or Godyears I make a silent wish - God let this be a usual Roshan type write up and not any contest entry ;-) Sorry to say that, but I took some extra freedom cos I am your top commentator and love your stories and posts so much ! I started reading the post after going through the short note on Appletini and I was expecting something humorous. But this indeed is a serious issue that our country is facing and we need to arrest the situation well in time to save the many under-privileged children. An issue well-highlighted! Ya.. I know. In recent times, the stories here have been mostly contest entries instead of the fun entries they were supposed to be. It is amazing how neglectful we are of things and how much better it could be for ourselves and children all over. Thanks for the reminder. Thats the thing.. we dont look beyond the schools we see in town. There are so many more who could be saved with just a minimal effort. Sadly, if you check, some of the other stats regarding education and child labour are even worse. Having worked with children in difficult circumstances, Roshan, I know how prone they can be to infections given their poor habitation and sanitation situation. I think as a country, we should be more committed to making children's health a priority - and as individuals, do all we can to make a difference. Good luck with the contest, Doc! As students, we used to have community medicine postings where we had to go to villages and do health checkups, surveys etc. The conditions were truly deplorable so often. Its amazing how myopic our governments are regarding healthcare and looking after their own children. Good luck with the contest. Shocking stats. My grandmother took Chayawanprash every day of her life. I can't ever remember her being sick with a cough or cold or anything else. Now instead of running these blogging contests, why doesn't Dabur do something humanitarian and donate or subsidise a whole lot of Chayawanprash to children in the lower socio economic group - that would gain my respect. we used to take Chayawanprash everyday too before coming here.. maybe its time to restart that habit again... it is very good for the body. It may really be time. There's a long way to go before we change those stats..
Nice post doc! Fact well presented in simple and interesting manner. I like the posts with information presented pointwise like you have done. All the best. Keep blogging.